Schriftsteller (1776-1822). 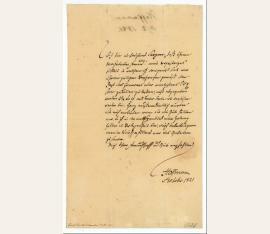 Autograph letter signed ("Hoffmann"). O. O. 1 S. 8vo. 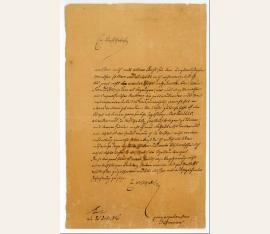 To the unnamed editor Georg Andreas Reimer (1776-1842) in Berlin, asking for the rest of his renumeration. Schriftsteller (1776-1822). 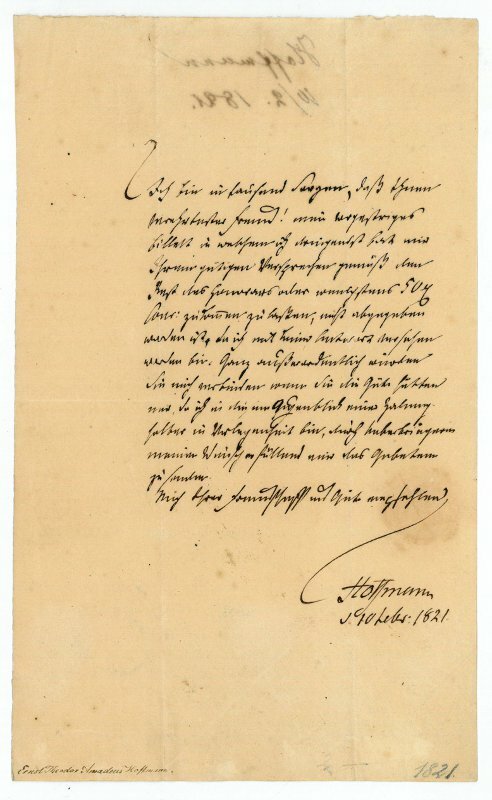 Autograph letter signed ("Hoffmann"). Berlin. 1 S. 8vo. 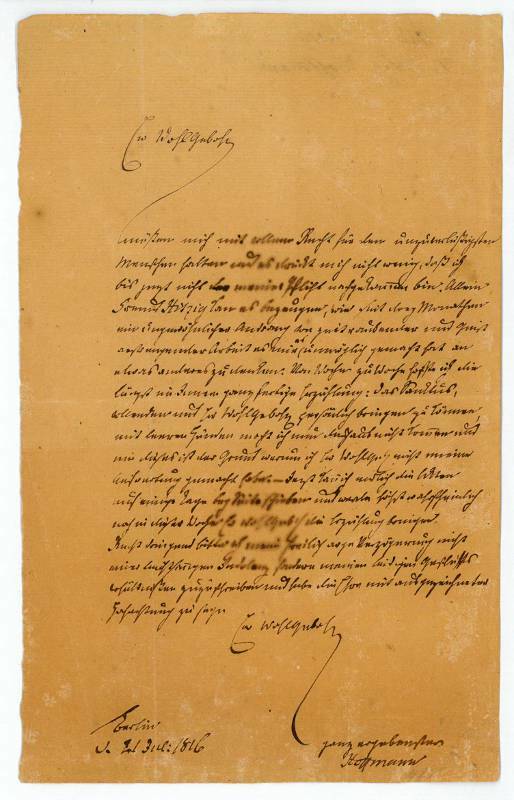 To his publisher Georg Reimer, about his tale "Das Sanktus", apologizing for the delay in sending this to him, stating that his friend Hitzig can testify to the fact that in the last three months an unusual mass of time-consuming work has made it impossible for him to think about anything else ("[...] Freund Hitzig kann es bezeugen, wie seit drey Monathen ein ungewöhnlicher Andrang von zeitraubender [...] Arbeit es mir als unmöglich gemacht hat, an etwas anderes zu denken [...]"). Hoffmann's famous tale "Das Sanctus" was published in the first volume of "Nachstücke" (1816). - With two manuscript annotations to verso, one possibly by the recipient. Overall browning with some damp-staining affecting text..